Dua Lipa attempts to set the record straight about rumours that she will be recording the theme song for the next 'James Bond' movie. Will Dua Lipa become the latest musician to work on the theme song for the upcoming 'James Bond' movie? It seems even she is unsure! Rumours have been swirling for a few weeks now that Dua is a favourite to perform the '007' song, ahead of Ed Sheeran - who has already expressed interested in recording the track. Ed revealed last year that he had a theme song written for the movie for three years. Adele, whose 2012 'James Bond' song 'Skyfall' won her an Oscar for 'Best Song', is reportedly also in the running. Sam Smith also won the award for his 'James Bond Spectre' single, 'The Writings on the Wall'. 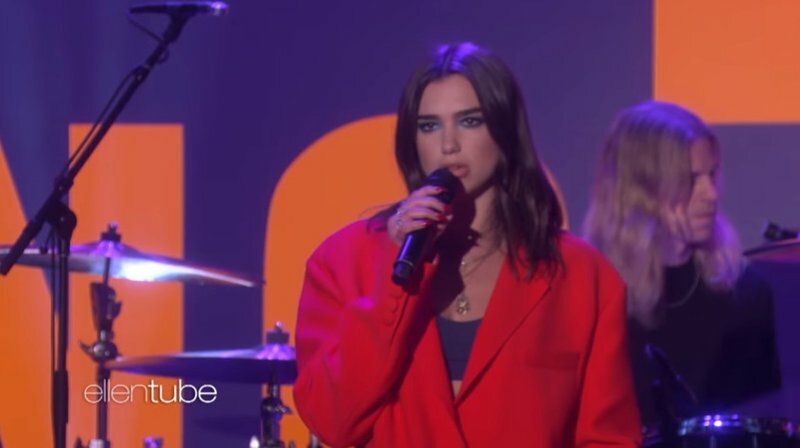 Dua says she would love to work on the theme song, but as it stands, nothing has been confirmed. "I don’t know. I would love to do it, but I’m not recording it…so far…I don’t want to jinx it. I would love to do it," the 'New Rules' hitmaker told Billboard magazine recently. So who is it going to be? We will just have to wait and see. The next 'James Bond' movie is due for release in November 2019, with filming starting later this year. Here's a look at the songs that won Adele and Sam the 'Best Song' Academy Award.